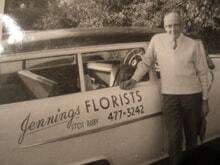 The Jennings family started as commercial flower growers and a wholesale florist in 1912. 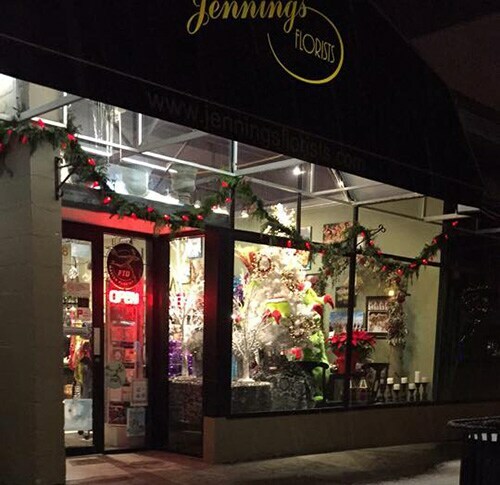 Since 1920 jennings Florists has proudly served the Victoria area as a retail florist. We are a fourth generation, family owned and operated business. Our family is committed to offering only the finest floral arrangements and gifts, backed by service that is friendly and prompt. Because all of our customers are important, our professional staff is dedicated to making your experience a pleasant one. That is why we always go the extra mile to make your floral gift perfect. Let Jennings be your first choice for flowers. Our shop is open from 7:45 a.m. to 5:00 p.m., Monday through Saturday. We are closed on Sundays. To help assure on-time delivery during the busy holiday season, place your order at least 1 day prior to the following major holidays: Remembrance Day, Canada Day, Boxing Day, Thanksgiving Day, Christmas Day, New Year's Day, Valentine's Day, Easter, Administrative Professionals Week, Mother's Day, Memorial Day, Father's Day, Independence Day and Labor Day. Our shop will always be closed on the following holidays: Remembrance Day, Canada Day, Boxing Day, Thanksgiving Day, Christmas Day, New Year's Day, Easter, Father's Day and Labor Day. Jennings Florists offer flower delivery to the following areas in British Columbia: Victoria, Colwood, Esquimalt, Gordon Head, Oak Bay, Sidney, Sooke and View Royal, BC. If you have any questions or need more information, please contact us by e-mail at info@jenningsflorists.com or call us directly at (800) 640-4082. We're always here to serve you and make your flower-sending experience a pleasure. Orders must be received before 12:00 p.m. for same-day delivery within an approximate 15 mile radius of our shop (local delivery area); orders for delivery outside of our local delivery area, or to rural locations, will usually be delivered the same-day, but MAY BE DELIVERED THE FOLLOWING DAY, so order early! Orders received after 12:00 p.m. will be delivered the following day. Delivery of orders to rural route addresses or cemeteries cannot be guaranteed. We will be happy to accept your international orders if you call our shop directly. We are unable to accept international orders over the Internet. Jennings Florists in Victoria, BC provides flower delivery service to the following areas and postal codes in British Columbia: V8S 2C3, V8S 1W3, V9C 0E9, V8R 4G2, V9A 5E1, V8Z 4G5, V8P 4W9, V9B 3T3, V8X 2C9, V8Z 2B4, V9A 7B7, V8T 2X6, V8Z 2H3, V8T 4N5, V8T 1E4, V8R 2L6, V8P 3B7, V8T 1X9, V8V 2A7, V8R 3T3, V8T 4L7, V9A 3Y7, V8S 2N6, V9C 2K1, V8V 4E8, V8T 1C1, V9E 2H5, V8W 3M5, V8Z 2Z1, V8T 5E2, V8V 4M9, V8N 6J1, V9B 3A5, V8V 4G4, V9E 1C8, V8S 1B7, V8Z 4P4, V9A 6T5, V8N 5X4, V8X 2B7, V8X 5A2, V9B 3G1, V8Z 4Z6, V8X 2J1, V8Z 6L4, V8W 1L3, V8Y 2C6, V9A 1S4, V8N 5B8, V9B 4J4, V8N 5P2, V8P 2V8, V8R 4S3, V9A 2G8, V9A 0A4, V9B 2S9, V8S 1J8, V9A 6S1, V8S 4L4, V8X 2T6, V8R 4J2, V8X 1T4, V8W 3L6, V9B 2B5, V8R 6P4, V8X 1X7, V8N 6A6, V8Z 5B4, V8Z 4N7, V9A 3G9, V9B 2W9, V8P 3K5, V9B 4V2, V8V 2C3, V8R 4Y5, V8T 5J6, V8R 6N1, V8X 4S4, V8Z 7H3, V8Z 5M3, V8N 5L8, V8Z 6J1, V8Z 4X4, V8Z 4E7, V8R 1E3, V9B 4E7, V8P 5V3, V9B 1H1, V8N 1Y9, V8V 1C4, V8N 4P3, V8V 2N8, V8R 1P5, V8Y 3C8, V8S 3Z7, V8T 1C4, V8P 5H2, V9B 1J9, V9A 6A8, V8Z 5K5. Distance charges apply for addresses outside of these postal codes. Occasionally, substitutions may be necessary to create your bouquet due to the availability of certain flowers in various parts of the country. Care is taken to maintain the style, theme and color scheme of the arrangement, using flowers of equal value. Additionally, the substitution of certain containers may be necessary due to increased demand, especially during holidays. In single-flower arrangements, such as an all rose bouquet, or orchids, we will make every attempt to match the flower type, but may substitute with another color.